Happy Tuesday! Since My Office Cubicle Makeover post got a lot of love, I thought I'd share some of my findings last night from last night. I always hear that there are hidden gems in the dollar section of Target where you first walk in, but the past two times I browsed, it was a hot Valentine's Day MESS. This time was different - Target had the cutest, tres chic office accessories. Although I had to refrain from buying them out, I couldn't resist the above cuties. I purchased those awesome studded push pins. They even had the cutest wooden ones as well as gold and silver. I obvi couldn't resist the diva ones - they all come in a petite test tube holder. I bought two packages of colored file folders. 2 folders come in each pack, and for only $1, that is a steal. Target also had plastic accordion organizers with over 10 dividers inside. They come in two sizes and the cutest pastel patterns.... Again, $1. I'm 23 years old and still a huge fan of writing in pencil, so I couldn't say no to the pack of 4. Target also had pens with the same pattern with gold accents - for once I had wished I didn't go with silver instead of gold for my desk makeover. 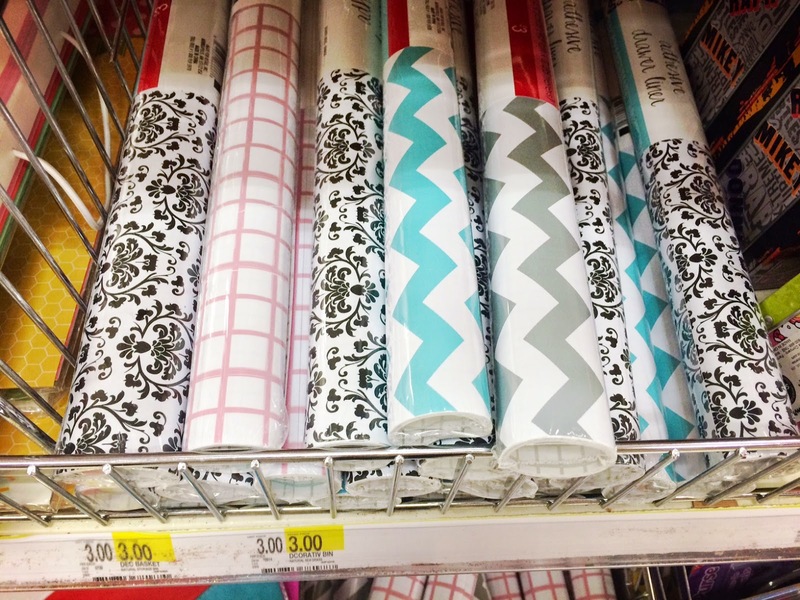 Lastly, for only $3 stuck in the dollar section, Target had rolls of adhesive wallpaper in various colors and patterns, almost IDENTICAL to the same wallpaper I used around my cubicle. For 1/4 of the price I paid! BUT- you can grab them in various patterns off Amazon. If you haven't seen it yet, see it here. 5 comments on "Target Dollar Spot Haul - Office Chic"